Please note, however the University does not guarantee progression of an individual student to an individual course. There is competitive entry for a limited number of places and there are course specific criteria for progression. 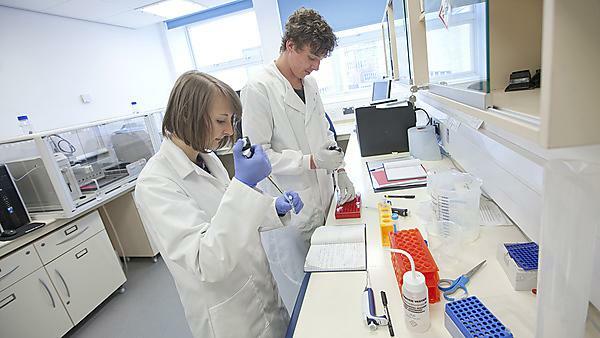 BSc (Hons) Biomedical Science, BSc (Hons) Human Biosciences, BSc (Hons) Nutrition, Exercise and Health require an overall mean of at least 60 per cent averaged across all 120 credits. BSc (Hons) Healthcare Sciences (Physiological Sciences) there is competitive entry for a limited number of places on these courses. Applicants require an overall mean of at least 60 per cent averaged across all 120 credits. In addition, these professionally regulated courses require applicants to successfully complete Disclosure and Barring Service (DBS), occupational health checks and a suitability interview. BSc (Hons) Medical Physiology there is competitive entry for a limited number of places. Applicants require an overall mean of at least 65 per cent averaged across all 120 credits. In addition, due to the team-based learning strategy central to the courses ethos, applicants must also successfully complete suitability screening at experience days.